I love do-it-yourself projects, crafts, and decorating my planner. Yes, I am a grandma stuck inside a 25 year old body ha ha. I love personalizing things to my taste and when I can't find something in store or online I make it myself. 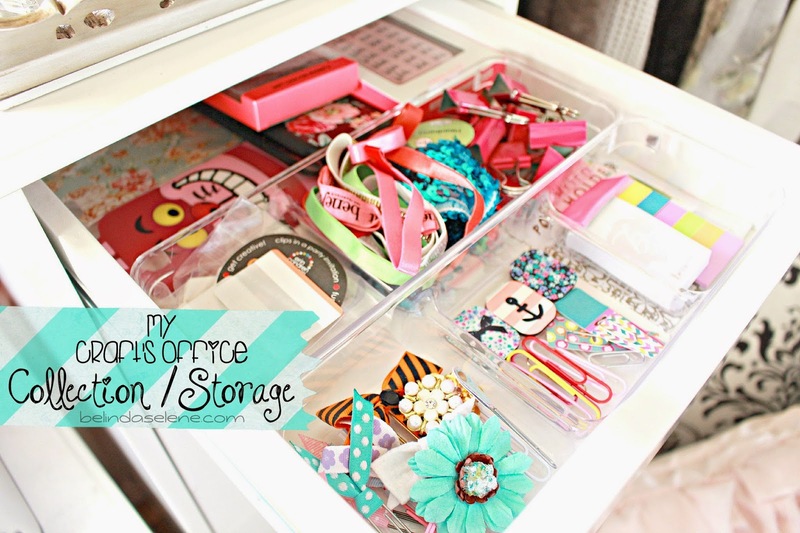 I need a place to store my pink glue guns, fabric, and stickers. My planner supplies addiction has also gone too far and I needed some major organization and a solution to store them all. 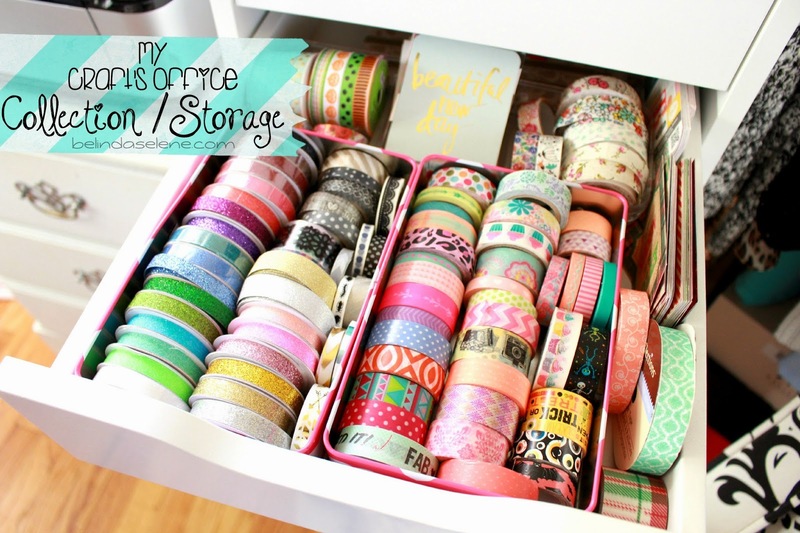 Last night I dove into the madness and started to throw away anything I haven't used in the past year and started organizing all of my tools and washi tape. Here is how it all came out! On top of my storage drawers I keep a few little things. I love this "lipstick" quote print. I have a bit of a lippie obsession and collect as many as I could lol. You should see my lipstick drawer. I got it from beauty blogger Teresa's, also known as Moneycanbuylipstick.com, online Etsy shop. Inside of my top drawer I was able to fit these acrylic containers I got from Target's Dollar One Spot section and keep little items that will easily become clutter if not sectioned into little piles. 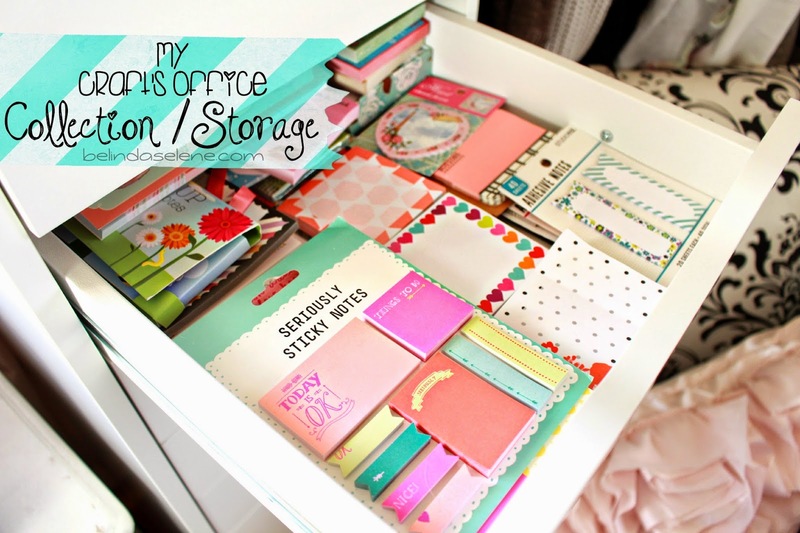 My absolute favorite drawer is filled with all kind of sticky notes and page flags. The most rare and pretty sticky notes I have seen are from an Etsy shop I love. They are sold in a UK store called Hema but unfortunately you cannot order online in the States so I go to Ladyendevagehond's Etsy shop to get them. I also received a few of them from my lovely subbies. This is my second favorite drawer because it's simply pretty to look at ha ha. Instead of using boring clear ziplock bags, use makeup bag with a cute and bold pattern to make more appealing to the eye. Also having cute tools keeps me motivated to do fun projects. The hardest drawer to organize are where I store my stickers. I will eventually get mini binders and place them inside clear pockets. We all need a little inspiration to get us motivated to get organized when the task seems impossible and I have the "We Love EC" Facebook fan page to thank for that. Thank you ladies and gentlemen for encouraging me to declutter my mess and making it a lot easier to decorate my planner. Belinda, you are my ALL TIME FAVORITE owner of the EC planner. I just got my first one myself and can't wait to do a blog post on how I personalized it. I'm a new subscriber and really need to catch up on your posts! Thanks for keeping us updated! 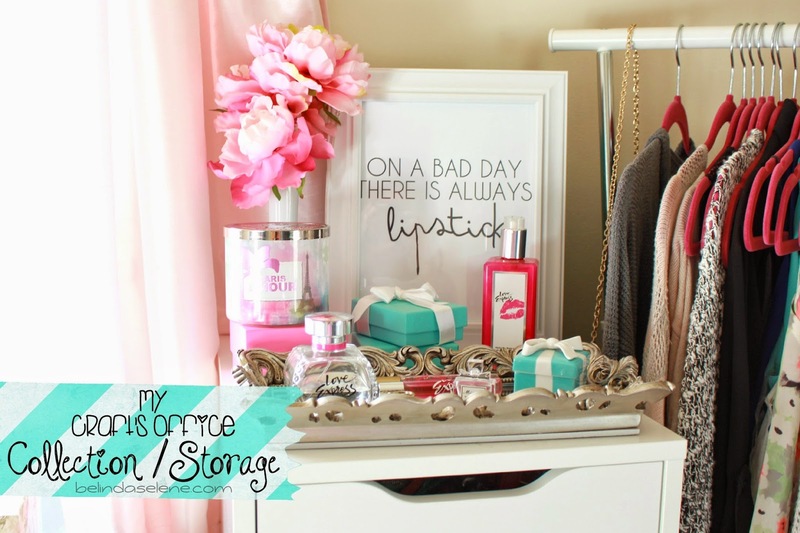 Love your collections and how you organized your beauty/office/craft room its so cute. 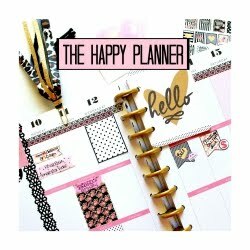 I also love your EC planner and how you decorated and organized it. I have a pocket size Lilly Pulitzer and its a good size for me I sort of like it so far and have used your thoughts and inspirations from your posts and videos to decorate my planner. Wow! You have quite a collection. Where did you buy your filing cabinet/with the drawers..They look really nice.